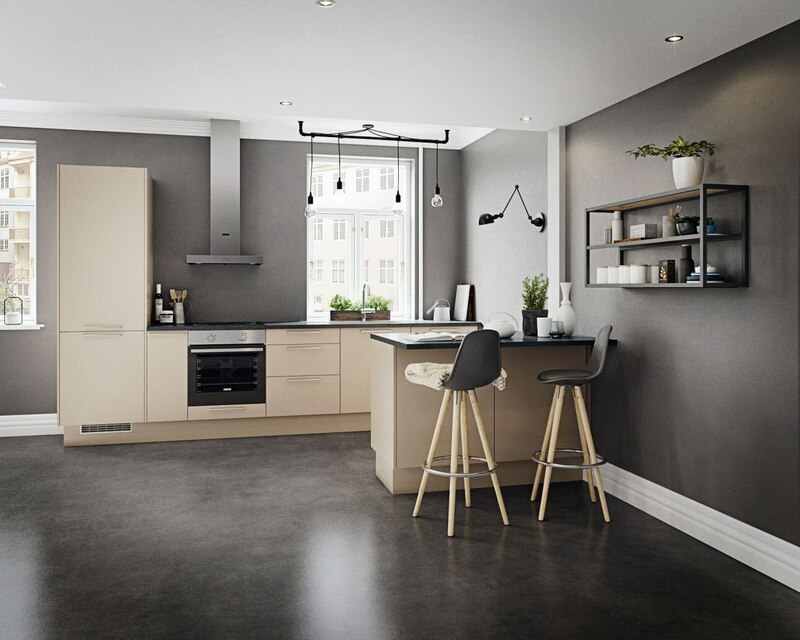 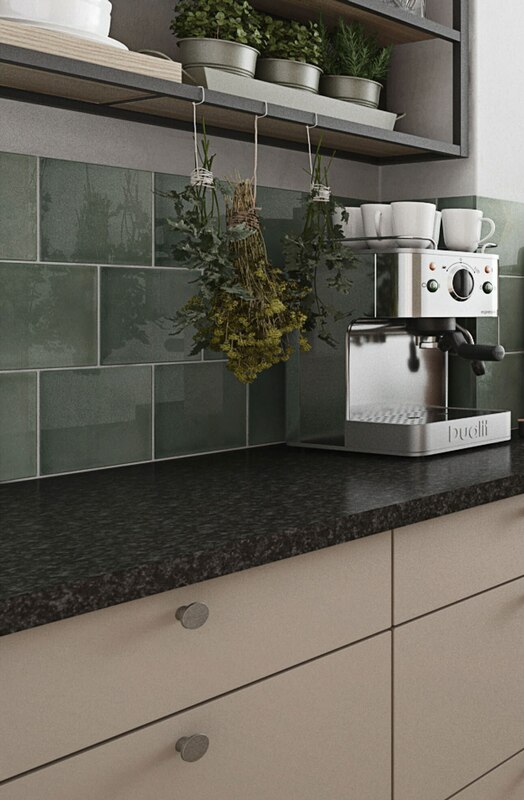 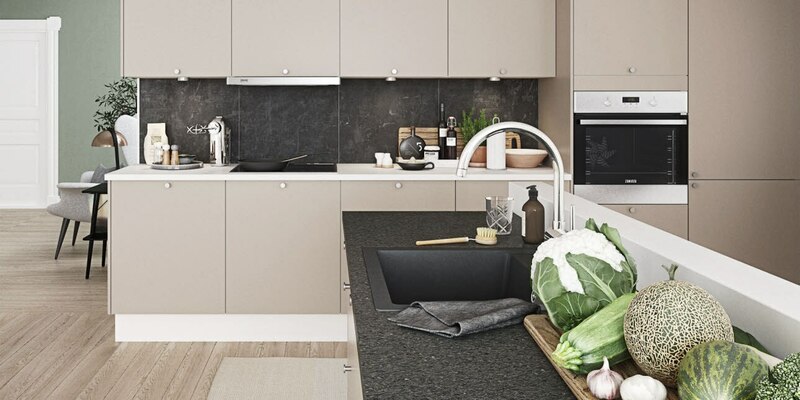 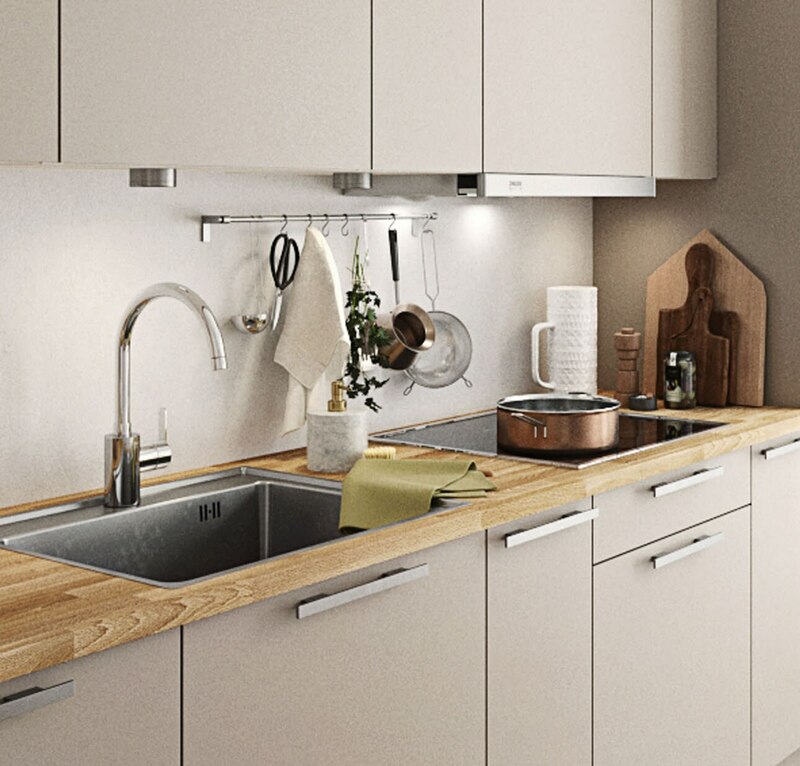 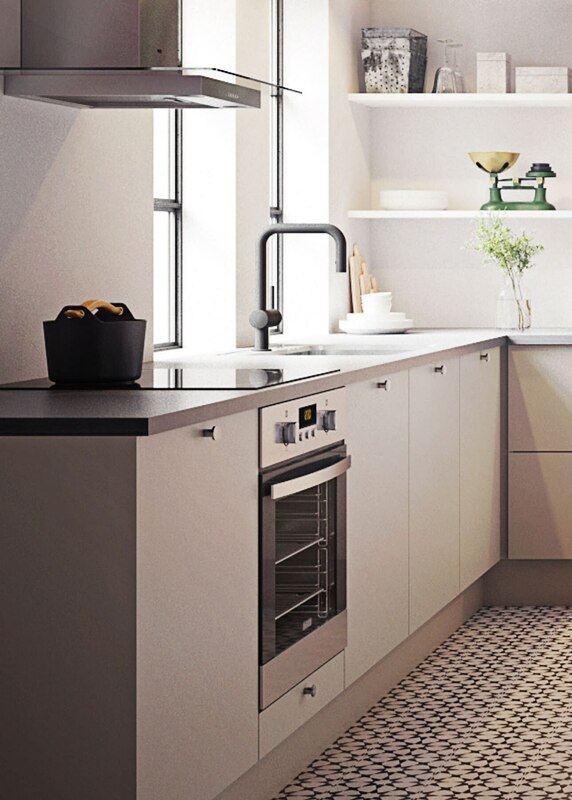 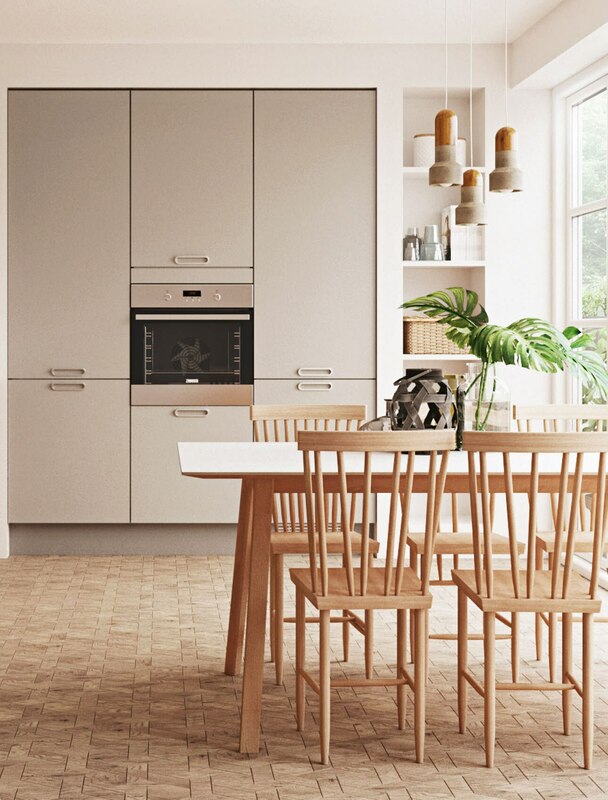 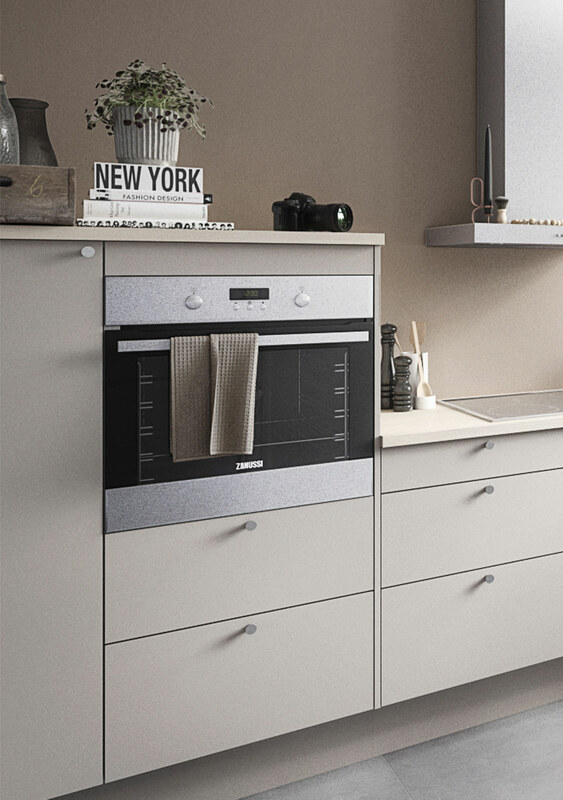 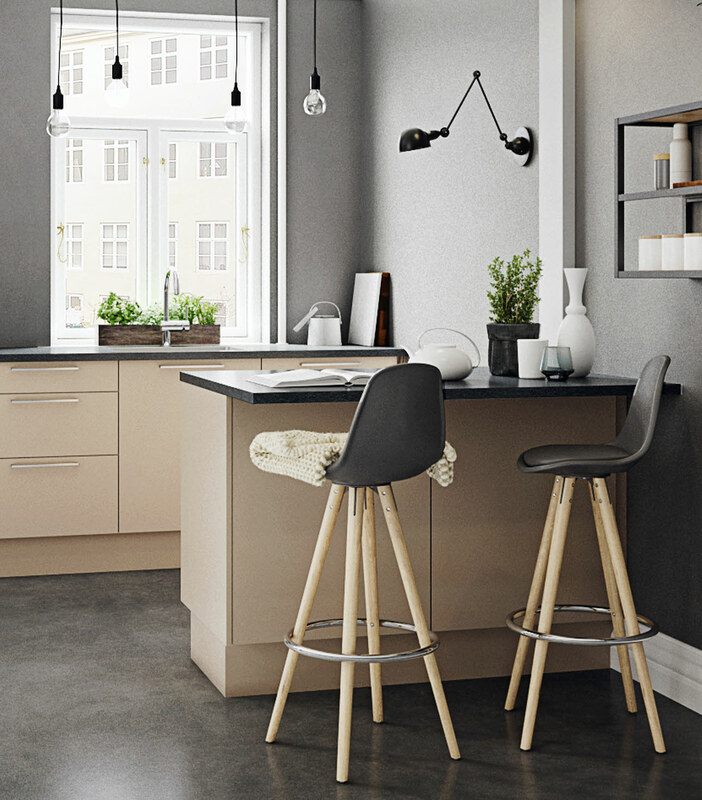 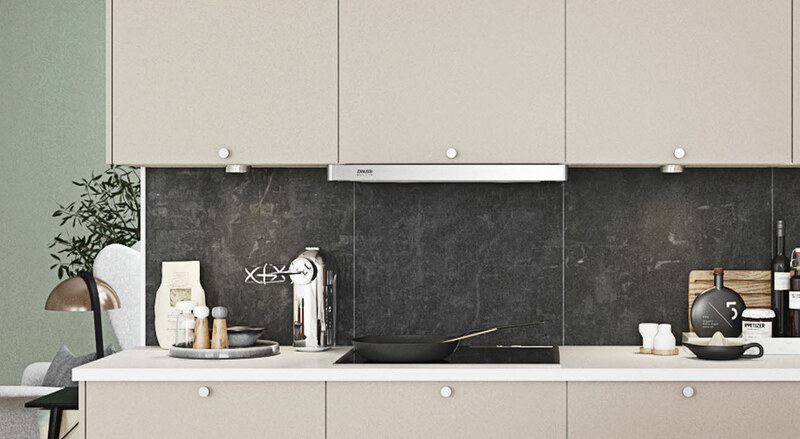 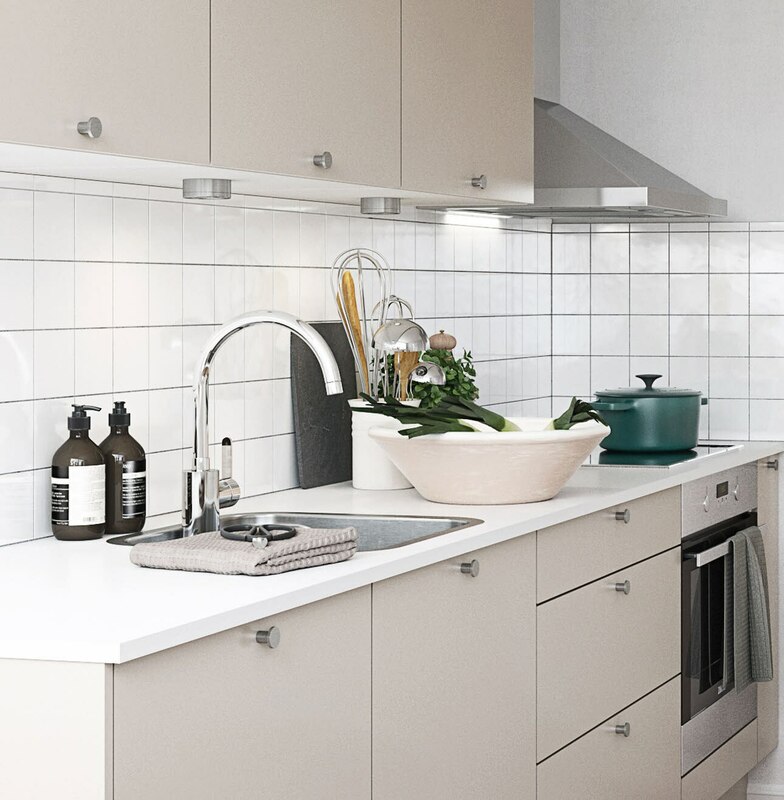 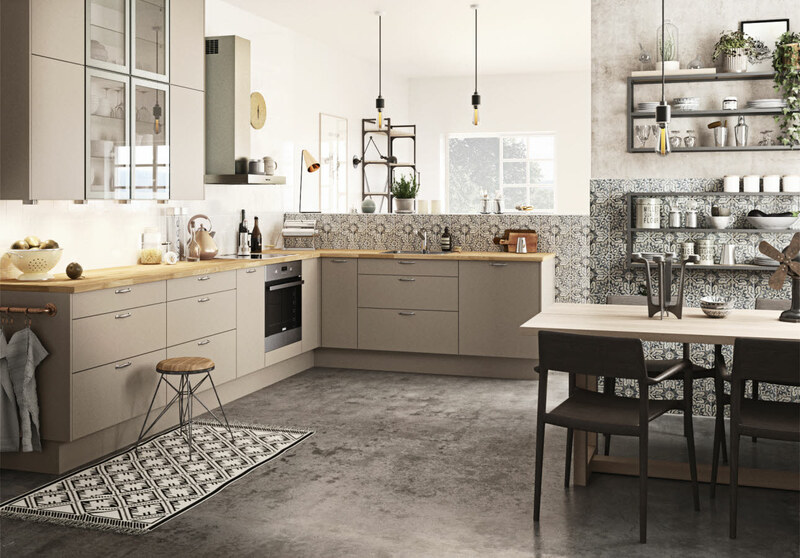 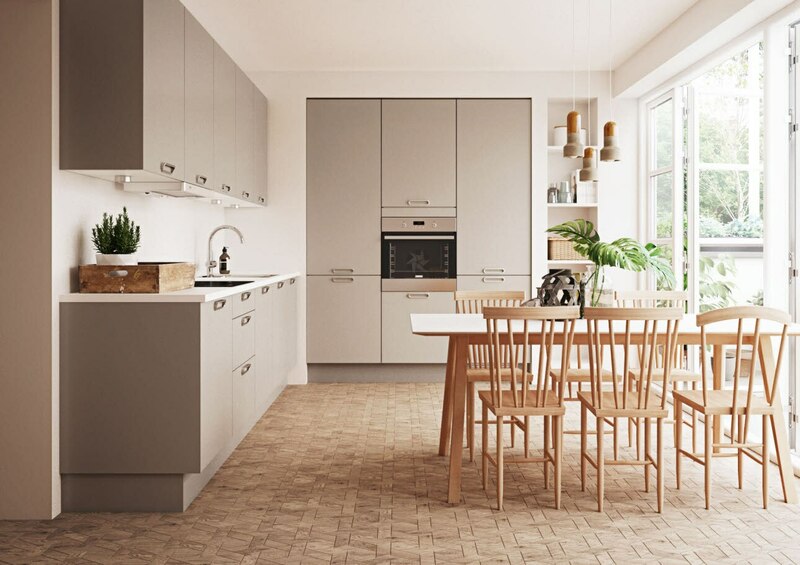 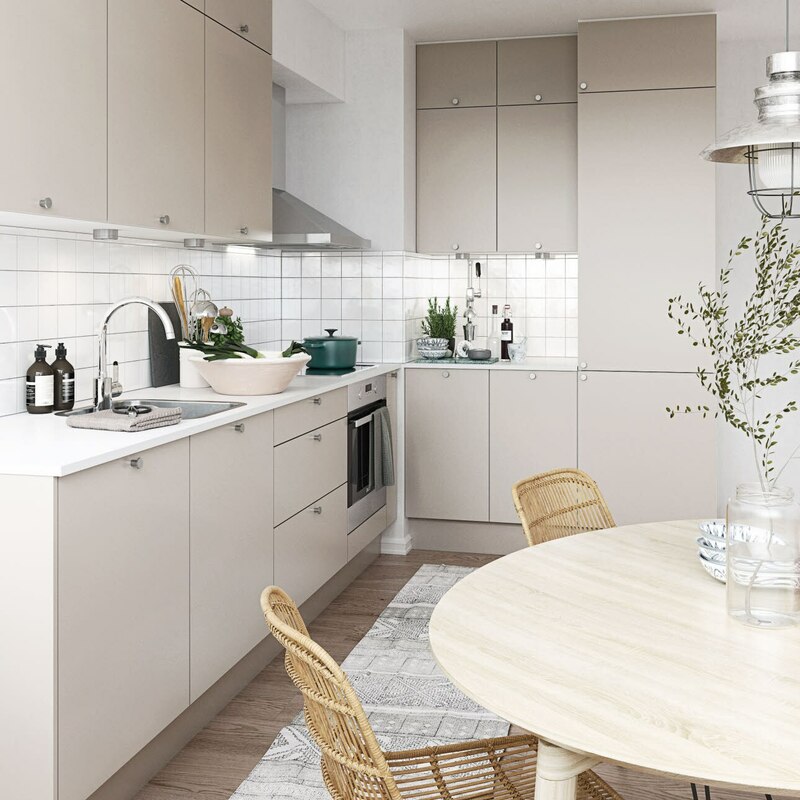 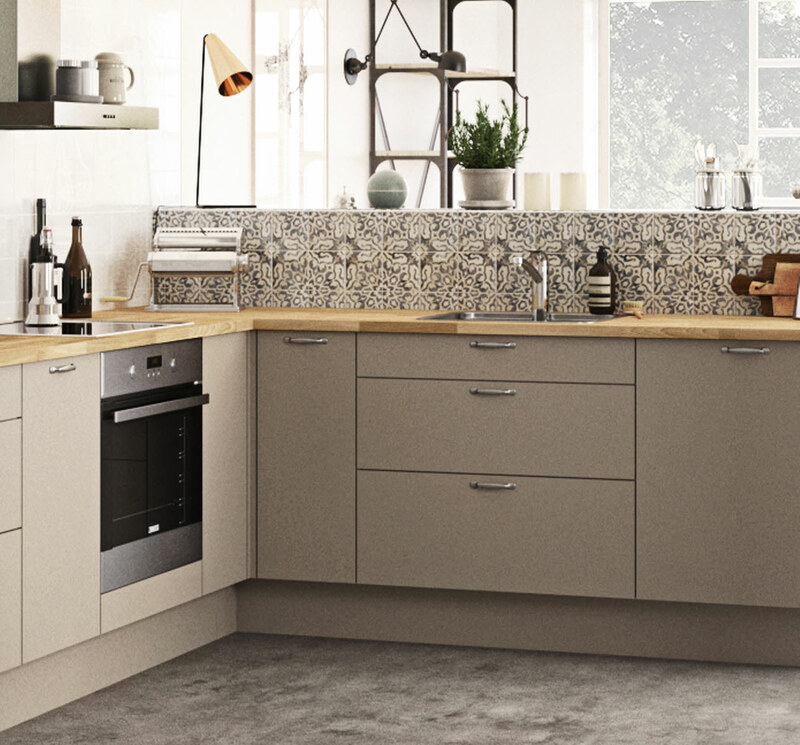 Stockholm is a very good choice if you want a Nordic kitchen at a reasonable price. 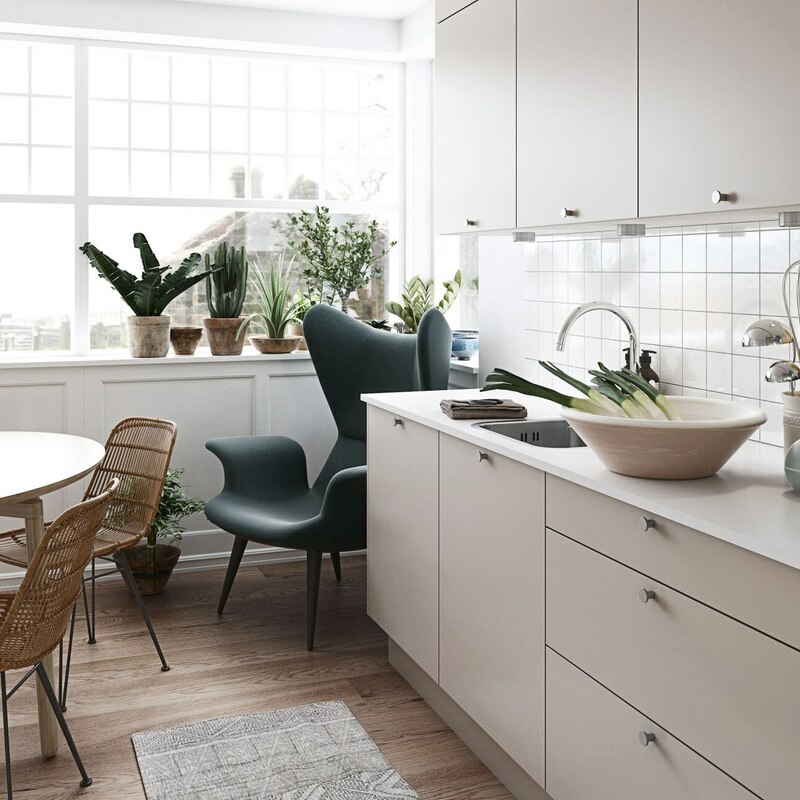 The dark mocha colour stands out from the classic white kitchen, giving it a distinctive look while at the same time creating warmth and hygge. 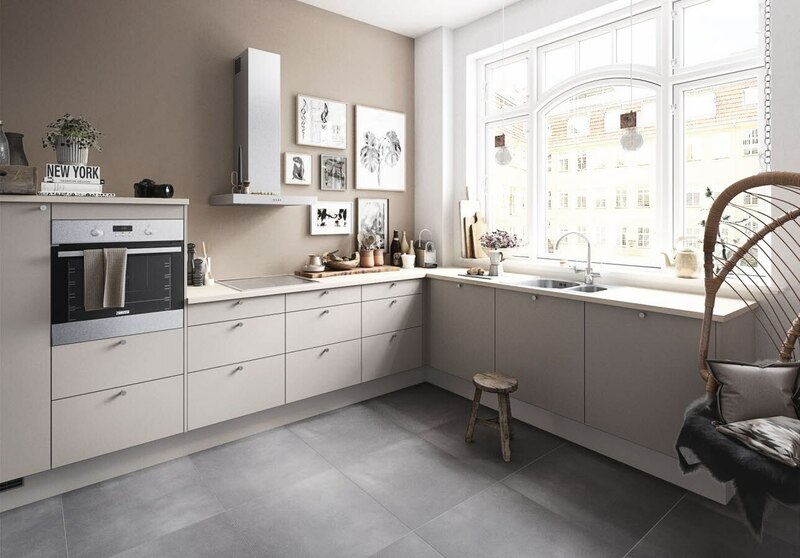 The mocha colour goes extremely well with both light and dark shades. 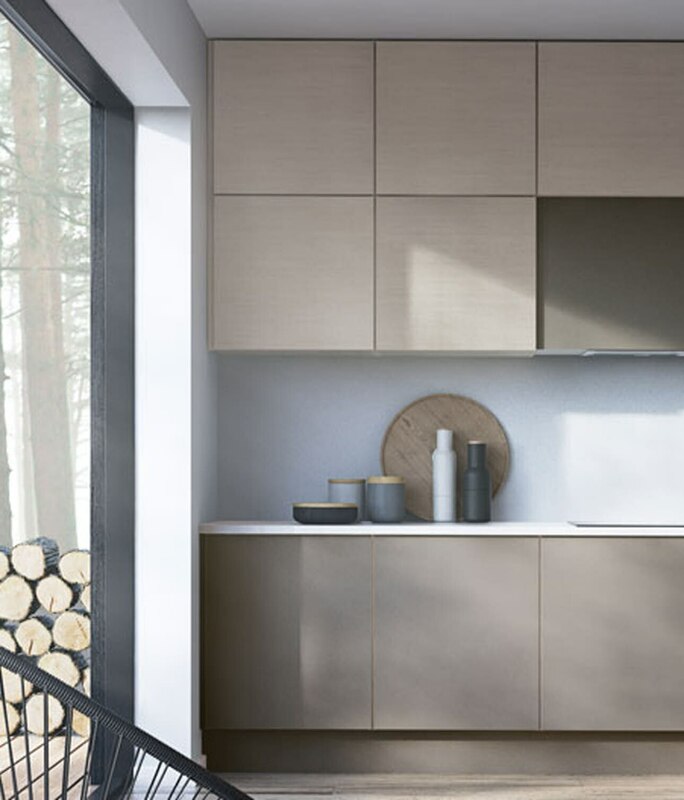 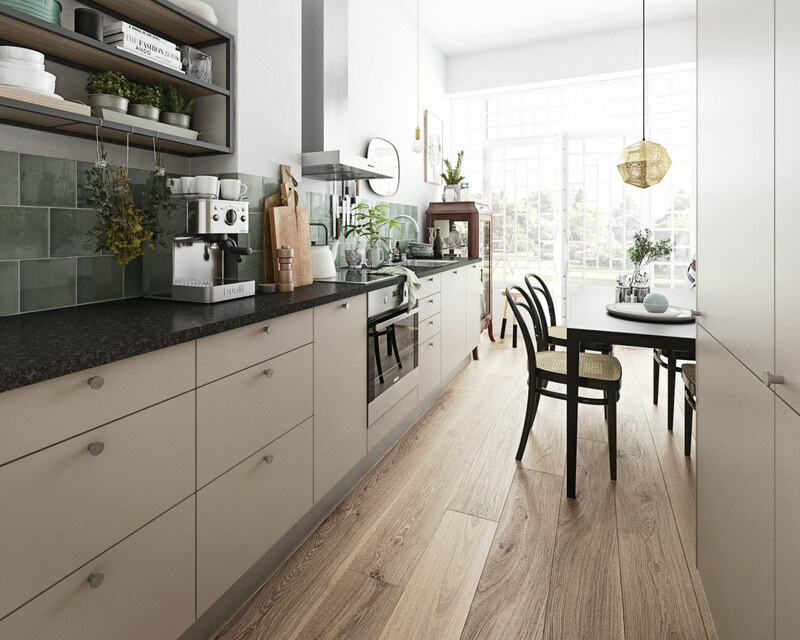 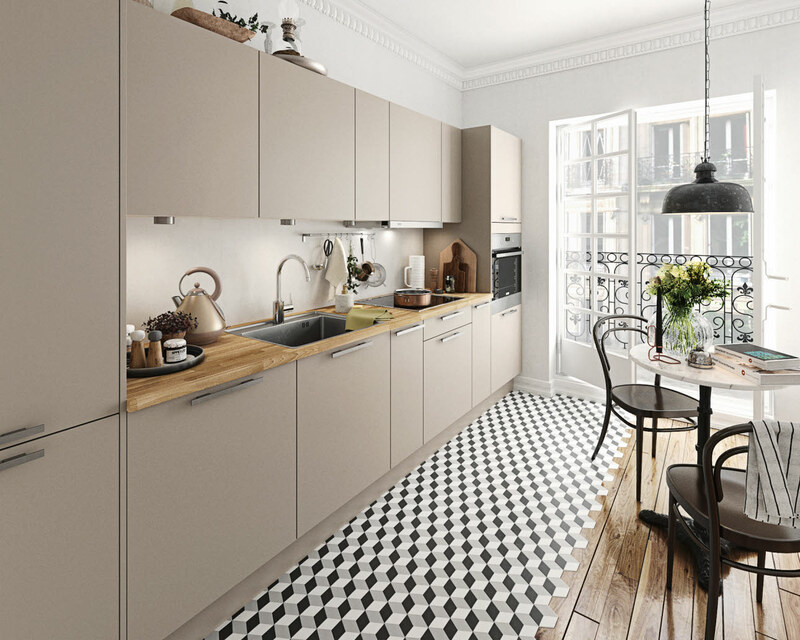 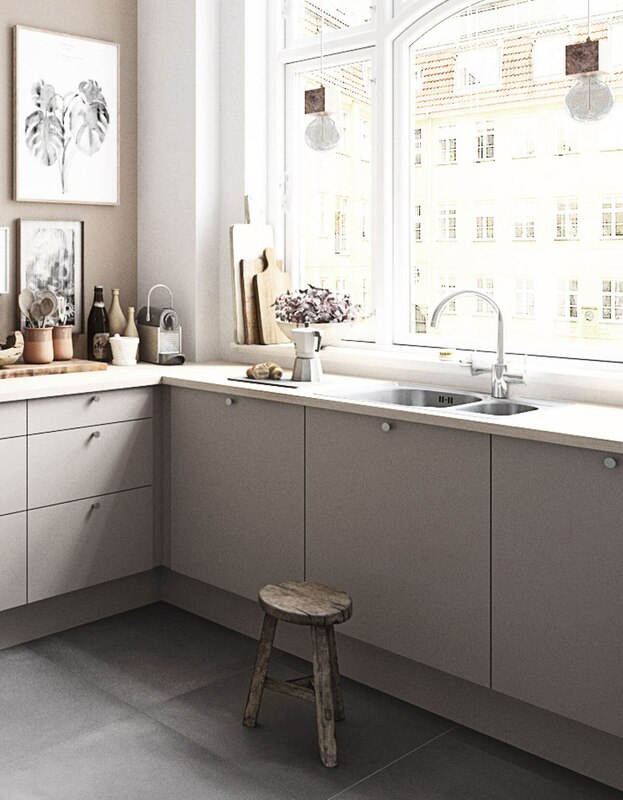 Therefore, Stockholm is good for combining with other kitchen unit doors such as Plain White or Oslo. 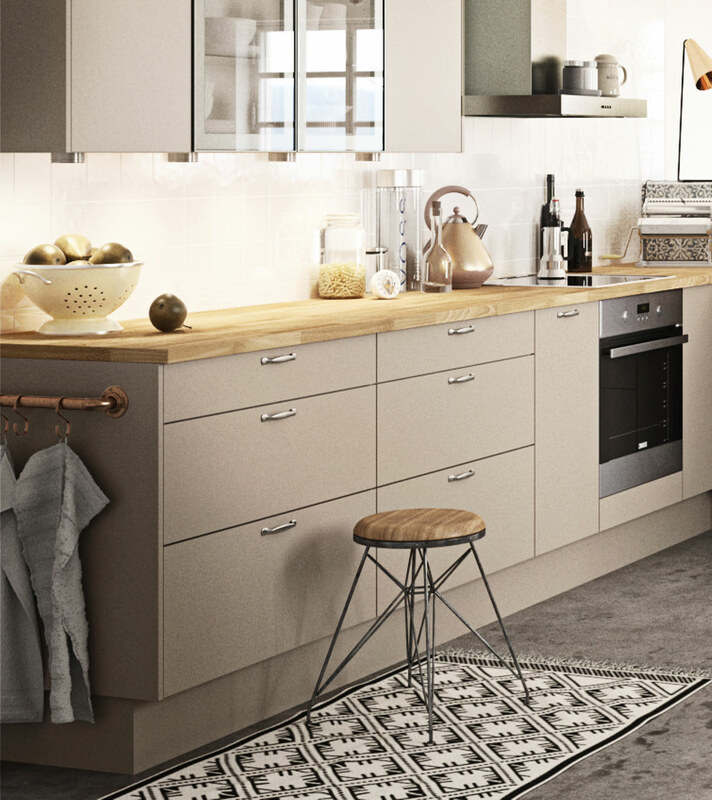 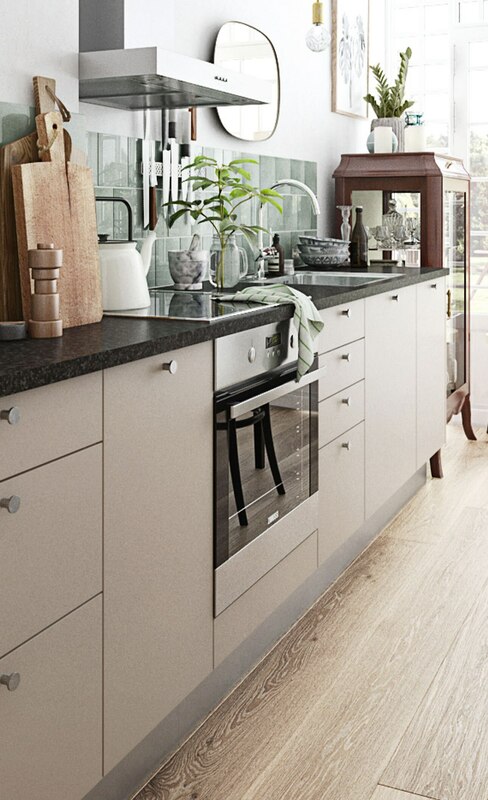 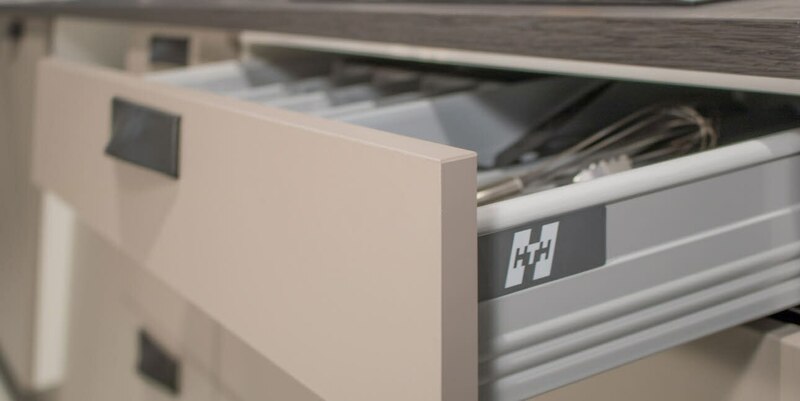 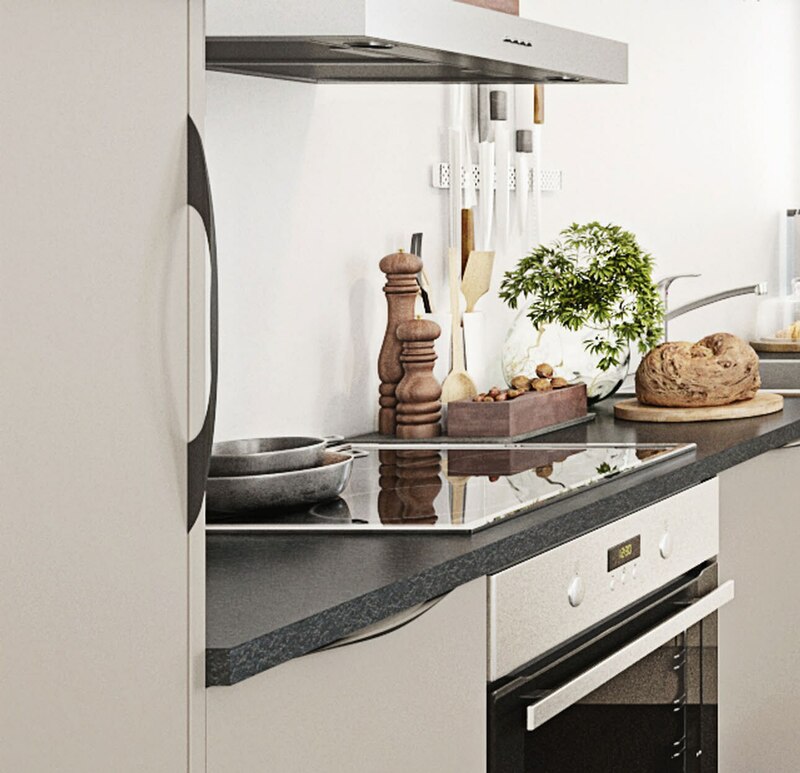 Stockholm kitchen unit doors are made of wear-resistant materials. 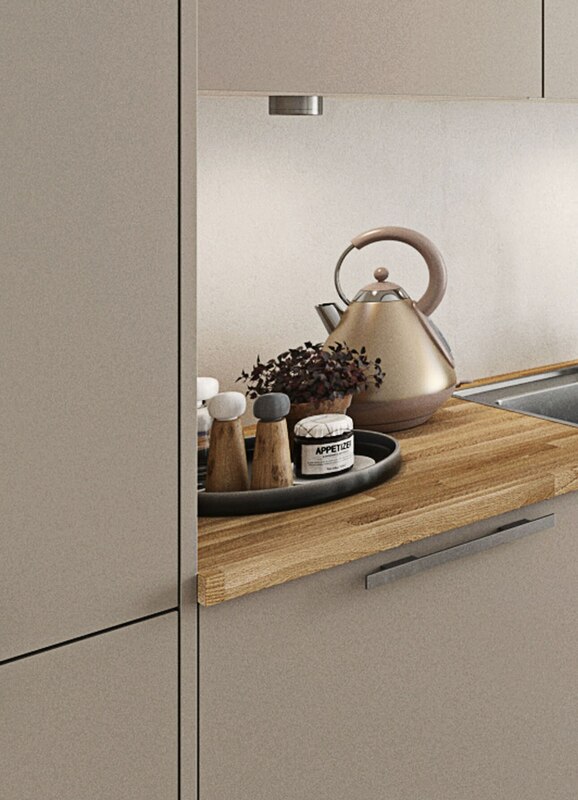 We have used sturdy 16 mm board and coated it with matt melamine for extra robustness. 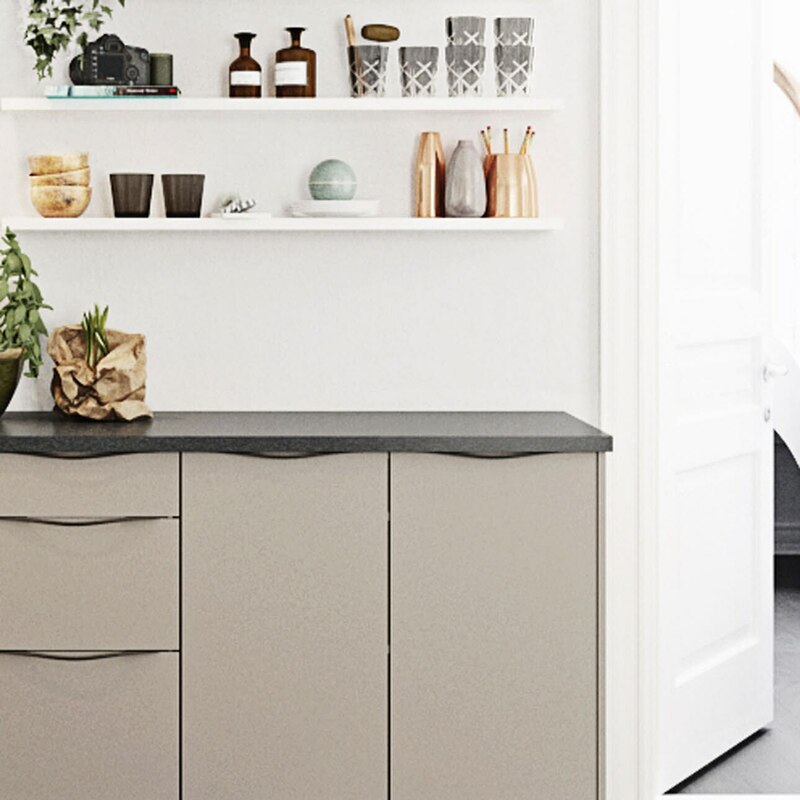 Stockholm has synthetic edges that provide an attractive and uniform finish to the doors. 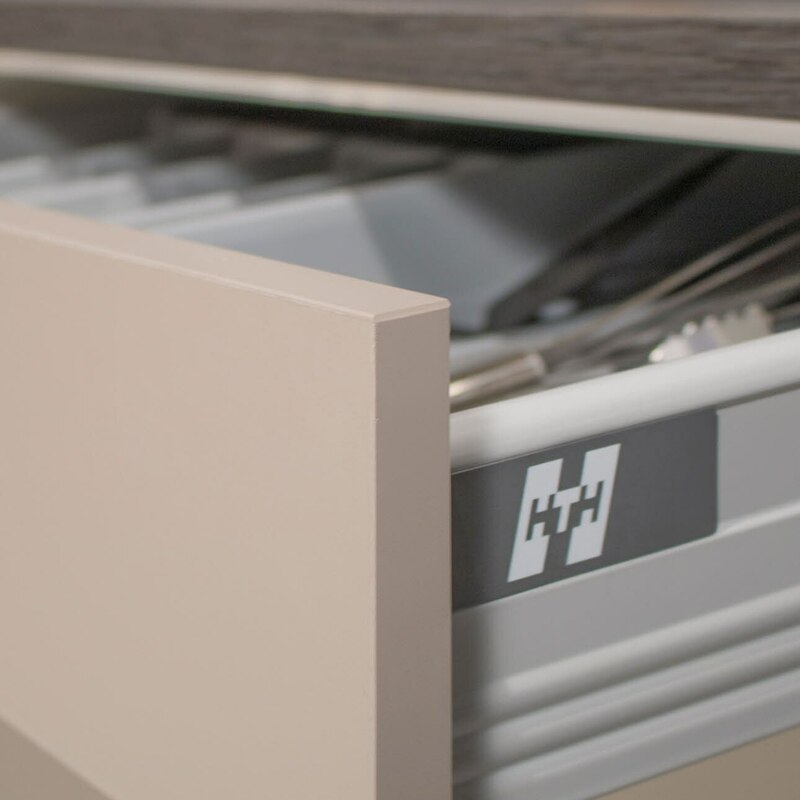 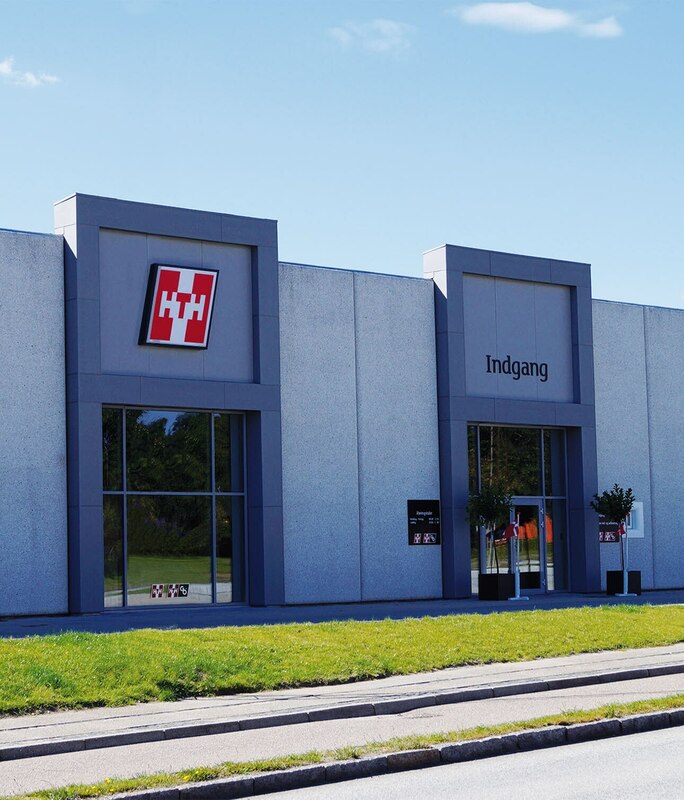 Read more about the different door types you can choose between from HTH. 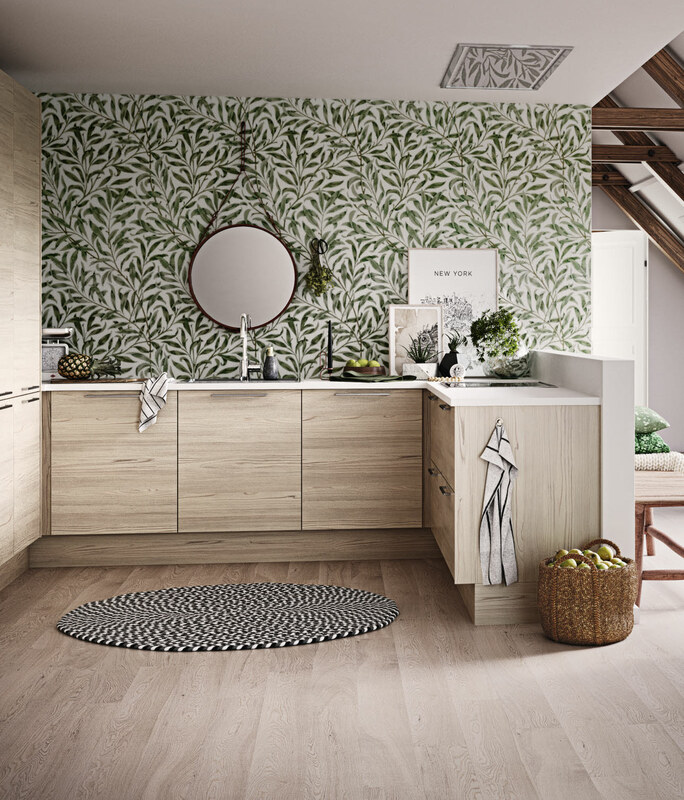 Stockholm is a decorative door with a melamine surface that is wear-resistant and easy to clean. 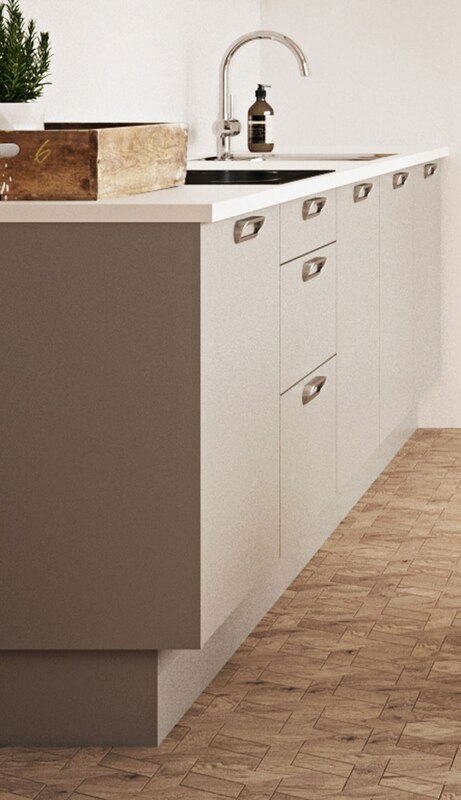 Melamine is made of compressed paper and adhesive which is laid on top of chipboard and edged with a strong synthetic strip. 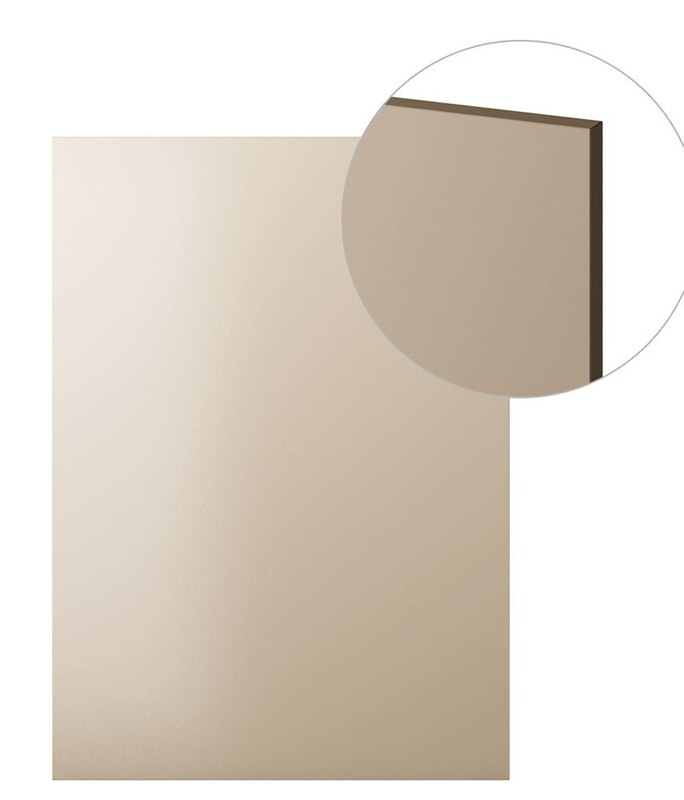 The result is a wear-resistant and robust door that can easily withstand the wear and tear of daily use. 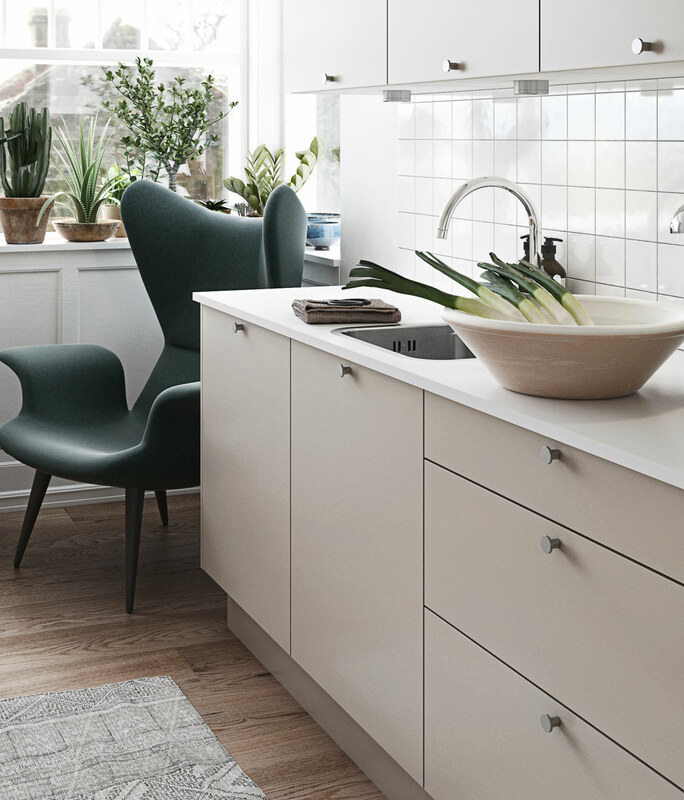 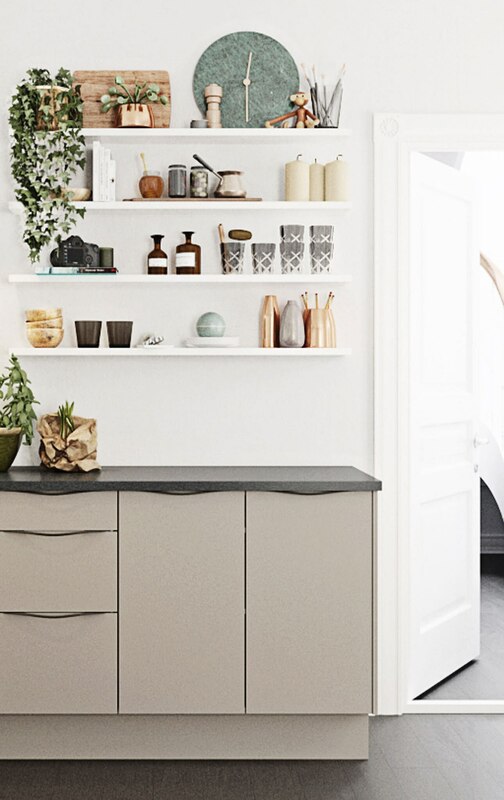 Drop into one of our HTH shops to find out whether Stockholm is to be your new dream kitchen. 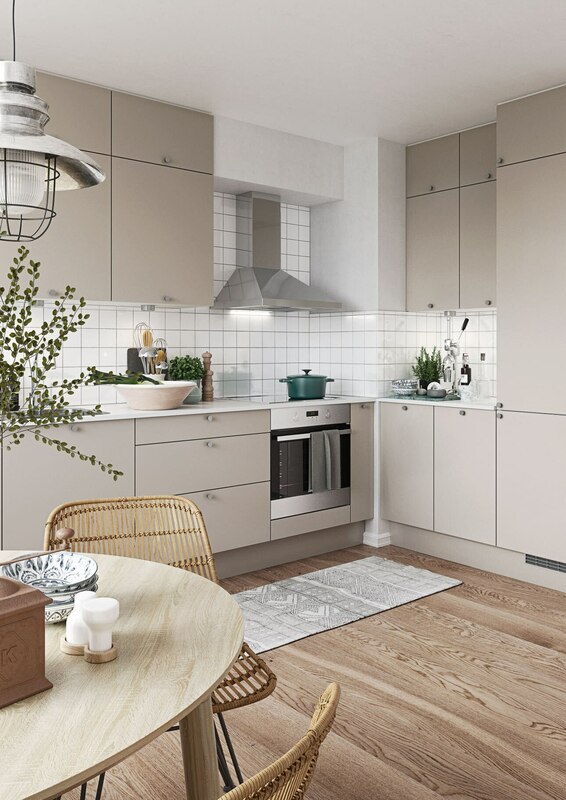 We’re always ready to provide useful advice and guidance, no matter whether you choose Stockholm or one of HTH’s other kitchen models.